Your favourite summer treats e.g. 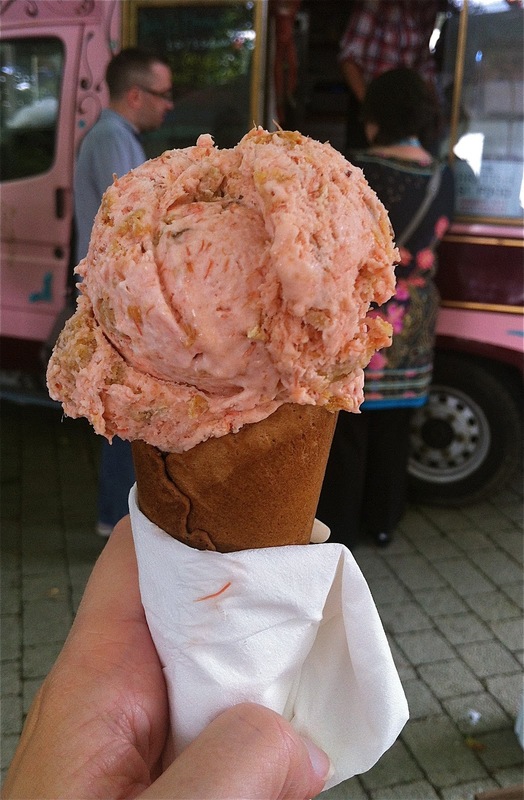 ice creams on the seafront or scones packed with cream in tea shops! Ingredients from far away countries you've visited e.g. rose scented turkish delight, spiced desserts or sweet treats from across the pond. Bakers, you excelled yourself. The creativity, flavours and variety were something to behold! So without further ado, here are the magnificent crop sent in for August. Rachel from Blissfully Scrumptious sent us this masterpiece! This is her Chocolate Bucket Cake. Words fail me! A simple idea executed to perfection. This is my Best of British Apples Bundt Cake, and is one of my favourite cakes ever. It was actually the inspiration for the theme too. 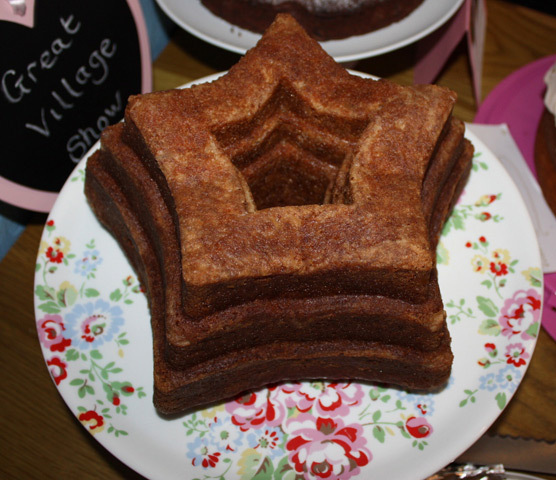 Apples are in season in August, and I had made this one for our Great Village Show Clandestine Cake Club meeting. This cake uses British apples with sweet maple drizzle for maximum moisture. 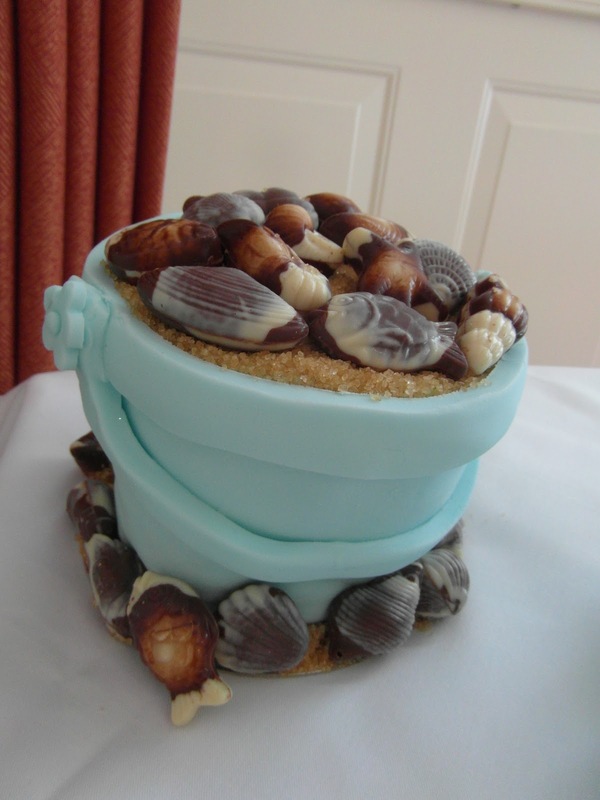 It can also be made in a conventional ring tin. 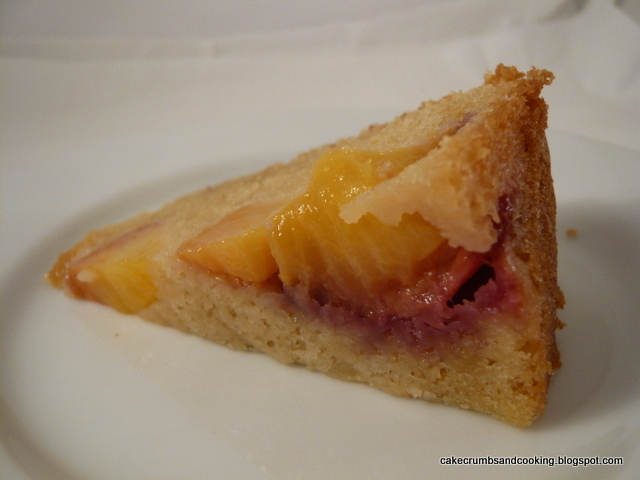 Caroline from Cake, Crumbs and Cooking sent us this delectable Fresh Peach and Vanilla Cake. Oh my word that sounds heavenly! 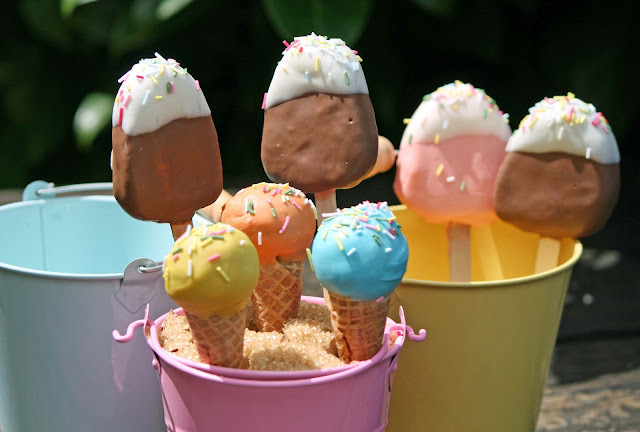 Nice dollop of ice cream for me please! The very talented Nazima from Working London Mummy sent us this wonderful Nectarine, Orange Flower and Almond Filo Tart. Not content with one, Ros also sent us this little fellow! A dark chocolate and raspberry banana loaf, perfect with a cup of tea on a summer's evening! Charlotte from Lottie's World of Bakes and Cakes sent us these beautifully elegant Chocolate Dipped Rose and Strawberry Meringues. The finished products are stunning, as is the photography. Lucy from Vanilla Frost sent us these fun little English Country Garden cupcakes! Wonderful attention to detail and vibrant colours. I love these! 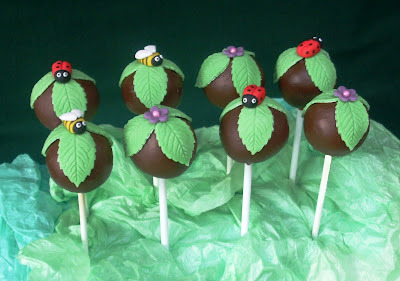 I also noticed that she did matching cake pops, so I have entered these for her! My friend Dawn would chuffing love these! Caroline from Caroline Makes has been busy again! 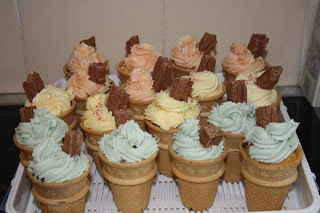 These ace Ice Cream Cone Cakes remind me of walks down the prom in Blackpool when I was little! Great idea! Blogging superstar Karen from Lavender and Lovage created this work of art inspired by the Olympics. 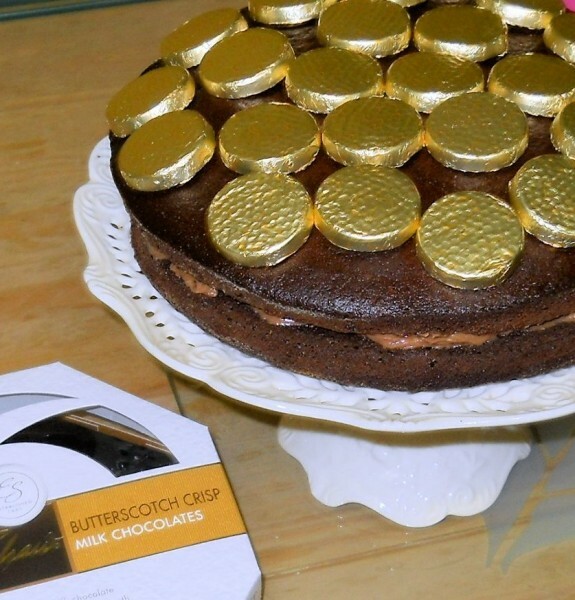 Her Gold Medal Cake uses chocolates as a decoration to produce a lovely effect. 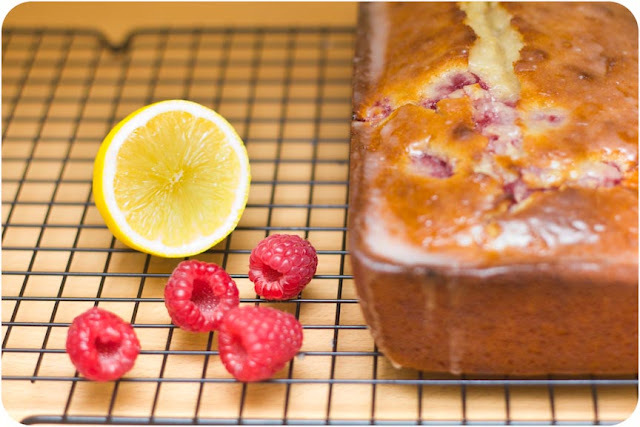 Gemma from Cupcake Crazy Gem took a break from cupcakes to make this beautifully glazed Raspberry and Lemon Loaf Cake. I'm going to be honest. I had heard mixed reports about James Martin. Some had said he was a bit of a diva (sorry James). Others had raved about how nice he was. Always one for a balanced view, I decided to find out for myself. Being a bit of a housewives favourite, I expected the demo tent at Bolton Food ad Drink Festival to be teaming with clones of my own mother, but there were men there too! Real ones! I don't even think they were dragged there by the missus either. Before the show started, I had the opportunity to get some photographs and ask James a few questions. We were told that he was running a little late due to traffic, so I sat waiting... wondering if he was going to terrify me...? I saw a shiny Audi R8 roll up beside the tent, and a figure in a baby blue polo shirt appear... smooth bugger. Within a few seconds of him appearing in the tent, it was fairly obvious he wasn't a scheister at all. He was happy to pose for photographs, chatted to some of the producers on the market and was patient with those generally pulling him from pillar to post. 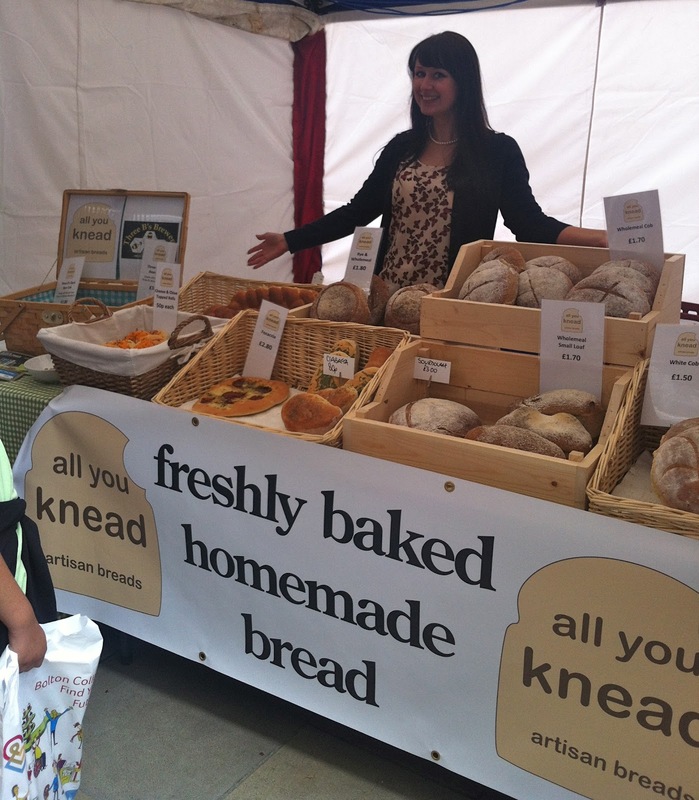 This is James' fourth year at Bolton Food and Drink Festival, so there must be something pulling him back year on year. Talking to James was very easy, and it's obvious that he has a genuine love for food and events like our food festival. I had always wondered why he wasn't pursuing the Michelin dream like some of his peers, but I think what became apparent in the next ten minutes was that he quite enjoys interacting with people and having a hectic life travelling the world. Me: Don't worry, I don't have too many questions. I can see you're in demand! James: No problem, it's absolutely fine! I believe you're a trained pastry chef...? Yeah, that's where I started my career but it's like other things; you do it for about two or three years and then move onto something else. It was certainly an integral part of my early training though. I imagine you must like your desserts! What's your favourite? I certainly do! Oh... 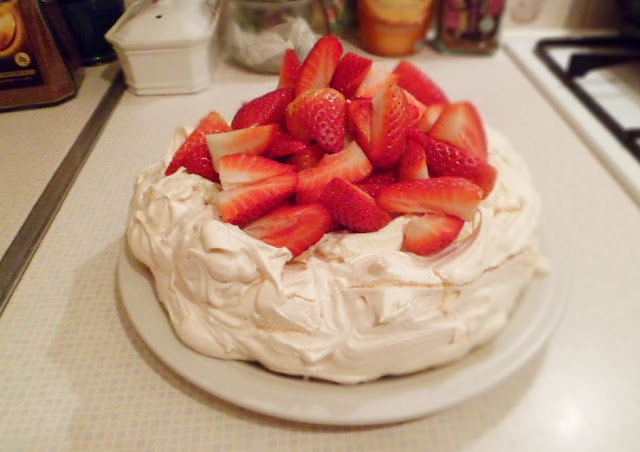 I like things like Eton Mess... meringue.. stodge. I like all that kind of stuff! Nothing low fat and nothing fancy. She is correct! Fat is flavour, particularly in pastry and baking. I'm a keen restaurant goer, so I'm interested to know where are your favourite restaurants? James: in the UK or globally? James: I went there on Sunday night last week. It's called Per Se. It's in New York. Its run by a chef called Thomas Keller who is probably one of the best chefs in the world. Me: I have a confession. I'm going to The French Laundry in September. James: You lucky lucky person! Take your credit card and spend the lot! Me: Oh we fully intend to! James: Choose the gastronomic menu which is 17 courses. It's the best food you'll ever eat in your life. Me: So what about the UK? 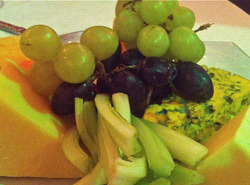 James: I like Koffmanns; Pierre Koffmann's restaurant which is underneath the Berkeley Hotel in Knightsbridge. After being on the road, what do you enjoy making when you get home? I've been all over the world in the last two weeks! Bacon sandwich. I have fresh tomatoes in the garden at home. I haven't been home for two weeks, so it's nice to come home to find the garden fully stocked. Yes, fresh bacon butty! 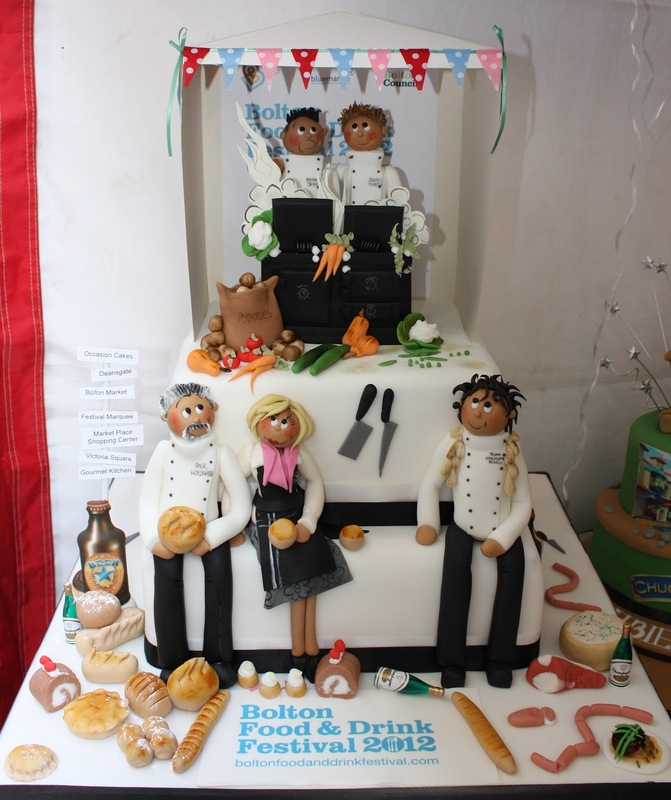 So this is your fourth year at the Bolton Food and Drink Festival. What are your impressions of Bolton and what do you like about the town? Yeah, I can't believe I've been invited back! I like the market here, I like it here. It's nice to see it progress over the past four years. Now they're saying this is the biggest ever. Where do you go from here? You've got more chefs than you've ever had before. I just like it. The people make Bolton special as we know. It's weird because I don't really get invited to may northern things, so if I can do anything up here I like to. I'm from up here aren't I!? I like doing food festivals, and I'll do my best to be at an event like this. I stayed to watch James' demo where he had his crowd captivated. He shared that Saturday Kitchen has just been given another four years on the air which means lots more early starts for James! He has a cheeky style with his audience, who seemed to relish his sarcastic style. This was a little odd, as he was quite the gentleman one on one. This is 'stage James'. The chap who takes the mickey out of people chopping onions too slowly with goggles on is a very different chap from the one who loves to talk about food. I'm here at week three of the 5:2 diet, living to tell the tale. I know today is Tuesday, but before you have me done under Trade Descriptions... I was at the Bolton Food Festival getting very wet all day yesterday and made the executive decision to do my meal plan today. Plus, yesterday was still technically the weekend! A few weeks ago I watched the Horizon documentary on BBC2 called Eat, Fast and Live Longer. Michael Mosley set himself a challenge; live longer, stay younger and lose weight by living the 5:2 diet. Week one was 'lunch only' on fast days. I did my fasts on consecutive days. On week two I changed things around a little. I spread my calories throughout the day and split my fast days. I lost another 2lbs despite three buffets and three days of the Bolton Food Festival being in the same week. The thirst is still an issue. On the flip side, I know this means I'm not drinking enough... Bad Rachel. Not being able to eat Frederick's ice cream on Thursday night. I had to watch my husband. That was crap. I'm doing a mix of weeks one and two. Fast days will be consecutive. The 500 clories will be split over the day. My husband has now stopped the 5:2 diet because he was losing too much weight! He is just using a fast day once in a while when he's been over-doing it. Monday: Normal day - covering the Bolton Food Festival again. The Hungry Gecko for lunch and sausage butties for tea! Wednesday: Fast day - small chicken sandwich for lunch and turkey and bean stew for tea. Thursday: Fast day - turkey salad sandwich for lunch and spiced red lentil soup for tea. Weekend: Normal days - we're off to Manchester to buy some holiday clothes (not long now...) so will probably eat out at least once. The week before the Great British Bake Off started, I stumbled upon a few of the contestants on Twitter. I always imagined that those brave enough to enter the Bake Off must have nerves of steel... I am a baker... hear my roar! After chatting with Cathryn and a few others prior to the first show, I realised they are actually just like us. They bake for their friends and family, and never imagined they would get on the show. Cathryn is a self confessed 'Last Minute Larry' and can often be found at the end of a trail of floury footprints! 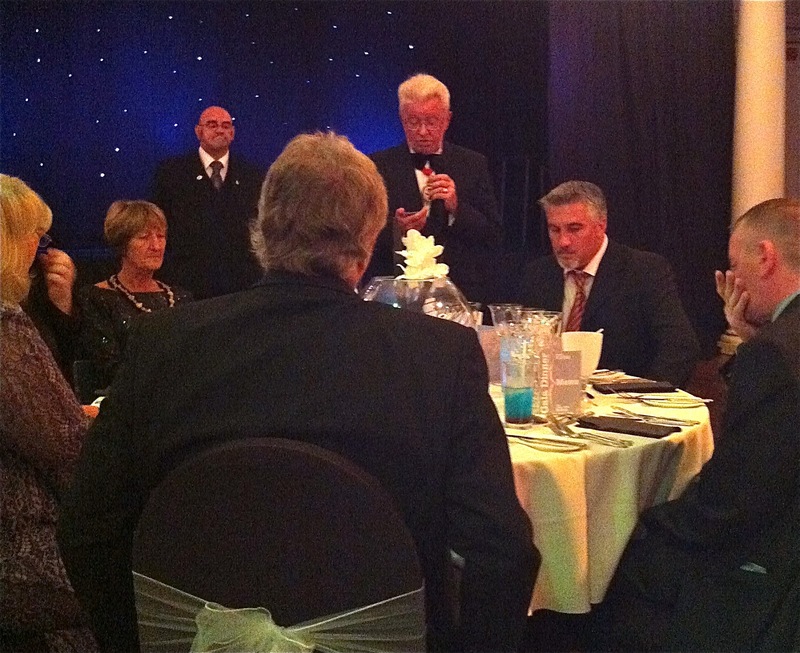 This weekend I met Mary Berry and Paul Hollywood. After suffering from a terrible case of 'Starstruckitis', I plucked up the courage to ask them both some questions about the Bake Off. Both made it crystal clear that the standard in this year's competition was higher than ever, and that anyone with designs on entering series four would have to seriously up their game in every aspect of baking. Mary warned that contestants must be able to 'bake an excellent loaf, a perfect cake and be original'. The audition process is a long, challenging yet exciting one. It all began with a phone interview, this alone was shocking enough as I had put the application right out of my mind. Then there are several more steps, including taking bakes (both sweet and savoury) to auditions, and a bit more 'grilling'. Although it was quite involved, it was an amazing experience and I told myself the application was worth submitting for the audition process alone. They definitely want to check the auditionees have plenty of knowledge and skill (but I certainly didn't...and still don't know even close to everything). I admitted to not having made every type of pastry and macarons but evidently this didn't pose too much of a problem. They really are looking for good amateurs, not professionals. The audition process began for me, not long after the end of series 2 and I didn't know I'd made it until a few months before filming commenced. I was elated to have been chosen but the overriding feelings were that of shock and excitement. Right up until we had all began filming I thought 'bloody nora, what if I'm not nearly as good as the others, and really stand out as the worst/least experienced', the funny thing is, many of the 12 of us felt the same, there is a sense of entering the unknown and putting yourself in the spotlight! Why do you think you were picked?The honest truth is....I'm not really sure! Maybe it's because they sensed my genuine love of baking for and with my family, plus I worked flippin' hard on the bakes that I took to auditions, and they turned out quite well... luckily! What's it like behind the scenes at the Bake Off? From the start of the audition process until the show finishes on telly is almost a year! Gosh only just worked that out!!! Each show is filmed over two days, filming starts early and is all day. I was truly shocked that I really really liked everyone, we got on so well, we went out for dinner together, had breakfast together between the two filming days and chatted whilst away from filming. I have made some proper lifelong friends. we really had such a fun time, playing silly games, teasing each other, sharing stories and in some cases making mischief or being outrageous and keeping us all entertained. They were a very fun, clever supportive bunch, I couldn't have got through it without them. There are no words for just how brilliant Mel and Sue are. It is not for the cameras either (which could be the case), they aregenuinely hilarious and fabulous ALL the time. They absolutely made it for me. They showed real concern, care and support for all of us, they kept us laughing when we felt like crying and cut the nervous tension at vote off with their warmth and jokes. THEY ARE WICKED! 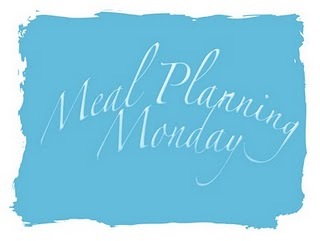 Do you get chance to practice your recipes beforehand? Yes, we know what we need to bake in advance and so do get time to practice, but your practicing lots of things at the same time to sharpen you knowledge and skills, constantly speculating what the technical challenges might be. Was there anything that you were dreading making? I dreaded making lots of things, but mainly things I'd never made...the likes of rum babas, I make lots of mistakes and mess at home too which was a worry! Did you have skills in every area before entering the Bake Off? I baked all the time before Bake Off, but just ordinary family home baking. I love trying new things but there were certainly gaps in my knowledge and experience. I learnt so much from all the research and practising that I did. I also learnt loads from the other bakers, the guys behind the scenes and Mary and Paul. We all shared tips and advice with each other. What is your favourite bake? Although they are not my favourite to eat, cakes are my favourite things to bake. Are Mel and Sue as funny in real life as they are on TV? Funnier! sometimes we couldn't start filming because we were all laughing so much, and sometimes the jokes were too rude to be shown at 8pm but real belly-laugh stuff from them all the time. I love them so much! What are your lasting memories of Paul and Mary? Mary is the kindest, loveliest, most elegant lady you could ever meet, the absolute Queen of Baking. Paul is intimidating, yet really supportive. He is honest and simply brilliant. Which cookbook would you not be without? This is tricky, I love lots but maybe Nigella's Feast, particularly at festive times of year! 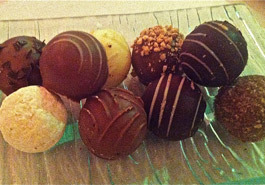 What's the best dessert you've ever eaten and where was it? 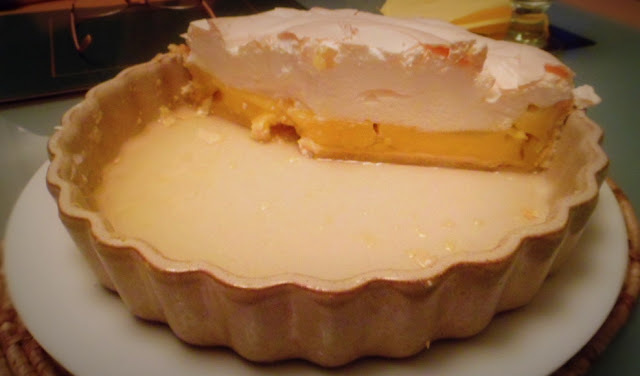 My mum makes the very best lemon meringue pie, served fresh with cream, I'm afraid nothing comes close! A massive thank you to Cathryn for giving us a sneaky peek into the world of the Bake Off and for taking the time to answer my questions. Join in the chatter on Twitter every Tuesday night at 8pm using the hashtag #GBBO. I've had such a fabulous time over the past couple of days! I've eaten some delicious food, had a laugh with friends old and new and even met some of my heroes. 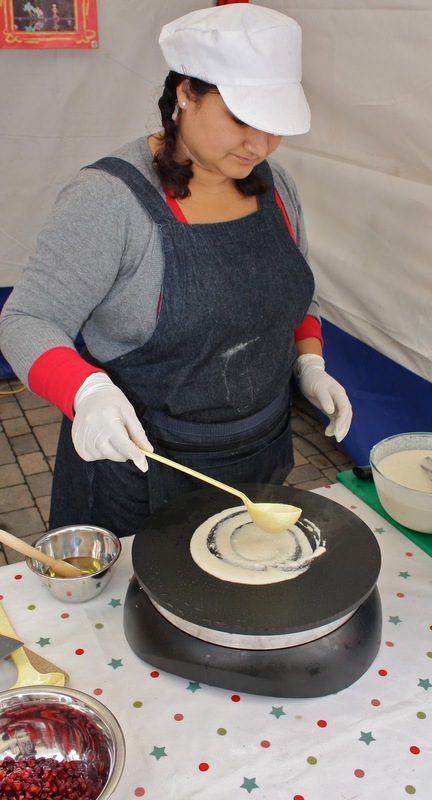 This year's Bolton Food and Drink Festival has excelled itself. Everyone around us seemed to be in wonder of something utterly fantastic; including a giant halibut called Hal, twirly potatoes on sticks, a giant inflatable lobster, celebrity chefs and lots of free titbits. The range of food and entertainment just gets stronger every year, so before I go any further I would like to give the organisers a huge pat on the back! This little piggy went to market... No, really. He did. One of the loveliest couples you will ever meet! 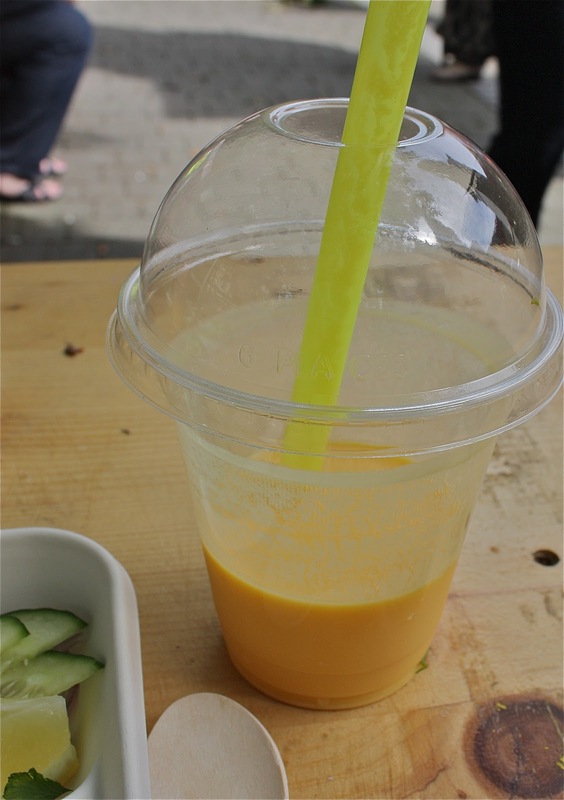 Jackie was a finalist on Masterchef in 2011 and makes Asian inspired street food under the name of The Hungry Gecko. Her food is bloody marvellous! I had her 'Little bit of Everything' tasting platter and a mango lassi. This was so good that it has been mentally added to my 'what could you just have...?' list! I went on Friday and then took my husband back on Saturday so he could try it too. Agreed. Jackie, you rule. 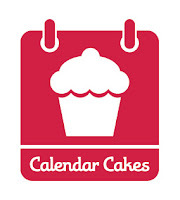 Click here for a full list of food festival events.